Two years ago, US Secretary of State Hillary Clinton and her Russian counterpart Sergei Lavrov met in Moscow where they announced a “reset” in relations between their respective nations. During their press conference, Clinton presented Lavrov with a mock "reset" button, symbolizing the renewed relationship between the two countries, which had been seriously strained during the two-term presidency of George W. Bush. With the coming to power of the Democrat Barack Obama, a new dawn, it seemed, was on the horizon as far as US-Russian relations were concerned. Although Clinton’s gesture was meant to be entertaining, it contained a small translation error that is interesting in light of present events. Above the red reset button, the Americans had written the word "peregruzka,” which in Russian means "overloaded" or "overcharged,", as opposed to the intended word for "reset". Now, the man who first coined the “reset” phrase, US Vice President Joe Biden, is scheduled to be in Moscow on March 9-10, where he will be meeting with Russian president Dmitry Medvedev and other high-ranking officials. One of the main topics of discussion will be Russia’s involvement – thus far wholly hypothetical despite a promise delivered to Russian President Dmitry Medvedev at the NATO Summit in November – in the US missile defense shield in Europe, a system that Moscow says poses a security threat without Russia’s unconditional participation. Where is the “party” Russia was invited to? Although the White House has named the signing of a missile defense cooperation agreement with Russia one of its top priorities in its relations with Moscow in 2011, things do not seem to be heading in that direction. In her recent talks with Polish Foreign Minister Radoslaw Sikorski, Clinton said the US was committed to deploying in Poland new divisions of the US Air Force, complete with F-16 fighter jets, in addition to the already announced missile defense shield. Dmitry Rogozin, the Russia's special envoy to NATO, said the statement by the US Secretary of State has raised fresh concerns in Moscow. "I think this statement will not be left without Russia's most close attention," Rogozin told Interfax on Friday. "We will not tolerate a situation in which we would have to join an already finished product developed without our participation and without our opinion considered. This is not going to happen," Rogozin said after meeting with NATO Secretary-General Anders Fogh Rasmussen and US Permanent Representative to NATO Ivo Daalder on Tuesday. According to an article by Kommersant, the Russian daily, Moscow will demand an explanation over Washington’s plans to deploy fighter jets inside of Poland. After all, the explicit reasoning for the US military buildup in the former Warsaw nation is to protect Europe from a rogue attack, ostensibly from Iran. The source told Kommersant the subject will be raised during President Medvedev’s meeting with Biden on March 9. 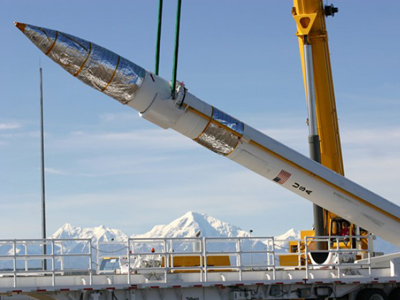 Will reset collapse over missile defense? Meanwhile, as anti-government protests rock the Middle East and North Africa, The US announced it would dispatch a radar-equipped warship to the Mediterranean Sea next week, the first step in the development in the missile defense. The Pentagon announced that the USS Monterey, is a guided missile cruiser equipped with a sophisticated Aegis radar system, will leave next week for a six-month deployment in the Mediterranean, the first phase in the unfolding missile defense system. The missile shield will begin with ship-based anti-missile interceptors and radars, with land-based radars added in southern Europe later this year. The Pentagon has failed to announce the exact location of those radars. The next phase of the missile shield will see land-based interceptors deployed in Romania in 2015, followed by interceptor batteries in Poland by 2018. Again, the declared goal of the missile defense system is to protect NATO nations against medium-range missile attacks, presumably Iran. 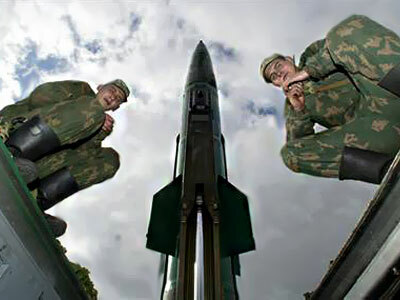 Russia, however, has said that any missile defense system that has the capability of compromising its own missiles will be viewed as a potential threat to its security. "We should go ahead with our plans for reducing strategic arms as well as in the field of missile defense,” President Dmitry Medvedev said. “Since a missile defense shield may be an element of the strategic nuclear arsenal, Russia wants security guarantees. We`ve unveiled our proposals and are ready for cooperation." White House aide Michael McFaul said on Friday that missile defense was high on the agenda of the forthcoming talks between Biden and the Russian leadership in Moscow. "We believe that without some kind of cooperation on missile defense, it will be difficult for us to get on to the other negotiations about reducing strategic nuclear weapons further and non-strategic weapons that are in Europe," he said, adding "we hope that at some time this year we have agreement on that." 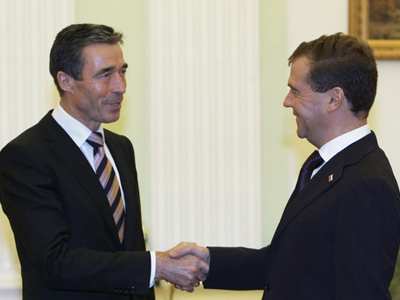 Russia and NATO agreed to cooperate on the European missile defense system at the Lisbon summit in November 2010. NATO insists there should be two independent systems that exchange information, while Russia favors a joint system that is open and transparent to both sides at all times. Joe Biden will arrive in the Russian capital on March 9, Russian Presidential Aide Sergei Prikhodko told reporters. "We consider this visit a landmark event in the preparations for the US president's upcoming visit to Russia, which is scheduled for this year," he said. The date of the US president's visit has not been determined yet.